Have you see the new Stampin` Up Planner? This well known company are new to the planner market with their long awaited planner and I thought it would be good to have a look at it. First impressions are good...I like the classy navy binder. 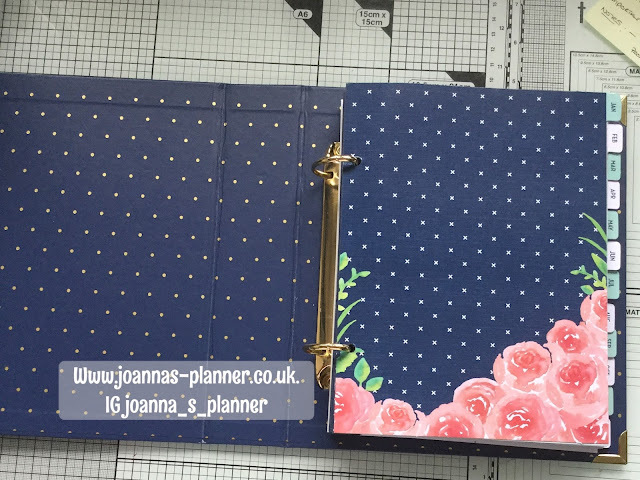 However, being an avid planner and carrying mine around all over the place I feel that the hard binder option is not altogether practical. It is definitely not conducive to squidging in to a handbag or purse (depending on where you are in the world). However, if you are more of a journaller then this may be just your thing. It reminds me of a Project Life binder and has a ring binding system that matches all the well known memory keeping brands. With some soft blue and pink. If you like a pretty planner you might like this...if however, you are a decorator you might find the provided colour scheme limits your possibilities to an extent. 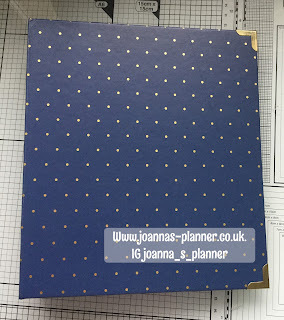 Each and every page has a navy and white polka dot pattern down the centre of each spread...no, that is not washi. I have a feeling it could be covered with washi but only the darker colours and more opaque tapes would be particularly successful. 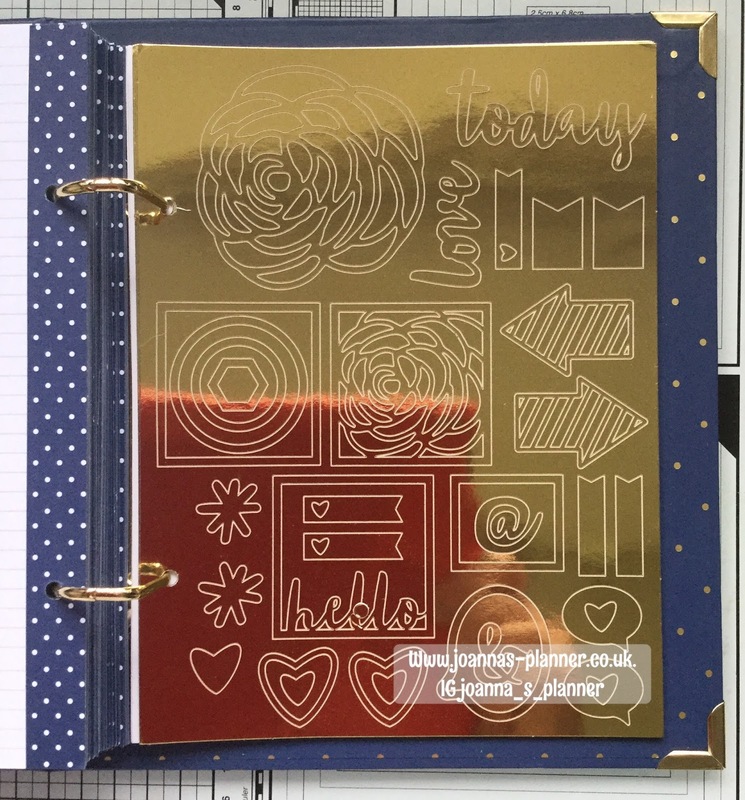 3 sheets of these stickers are included in your planner and also 3 sheets of the beautiful gold foiled stickers below, although I am not entirely sure what I would use them for. So, what about the bread and butter...the weekly and monthly spreads? The monthly spreads are the only pages that have months entered. Everywhere else the planner is left blank for flexibility. You can see here that I have entered in the dates by hand...also check out the sticker at the bottom of the left page. I was checking how accurately the provided stickers fit the planner. It always takes a while to settle to a new layout. 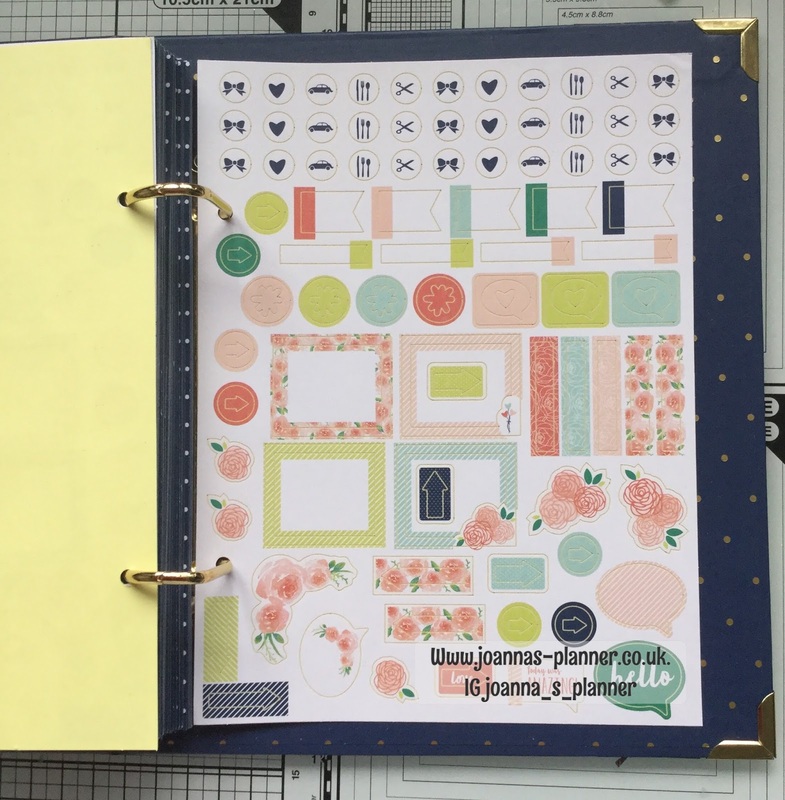 I have to say and this is a really good point that the insert paper is very good quality and none of my inked stamps show through and that includes the stampin` up dye based inks that on the whole have leaked through some of my other planners. 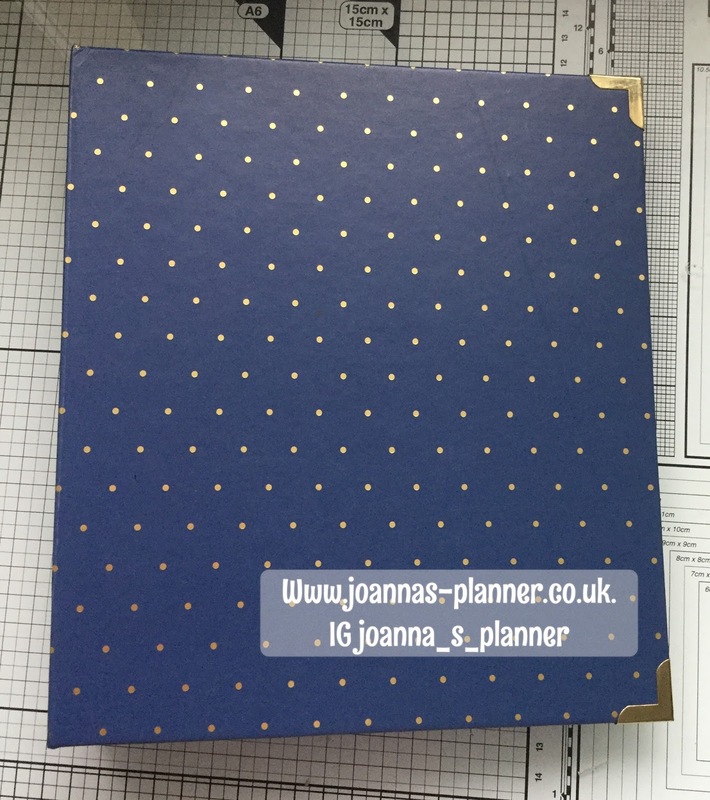 This time I have used a pen and ruler to section the planner. 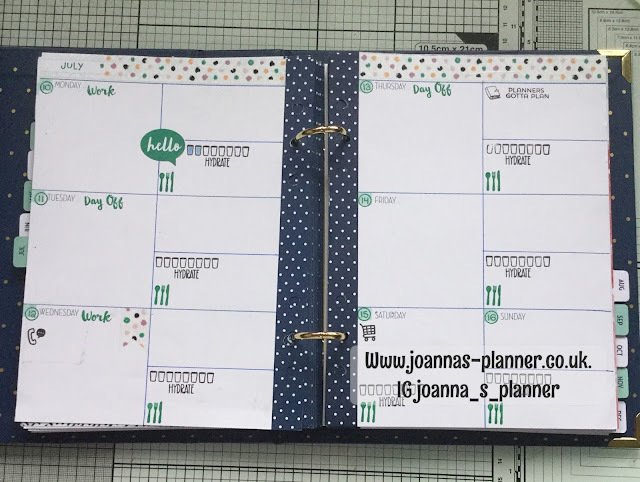 This is a really useful idea if you are a list maker and like the structure of the vertical planner with its box format. I have added a little washi at the top and used a green ink pad to match the sticker. I hope you feel a little more positive about these than I do....what on earth they were thinking I do not know. These little plastic pockets are approximately 2" x 2", too small for credit cards, not a standard size for photo prints....If you have any ideas please shout out. Inside the binder the mechanism is dire and not at all good quality. There are no tabs to open the rings so you will need to pull directly on them. This means uneven pressure and uneven pressure means the rings will soon distort. 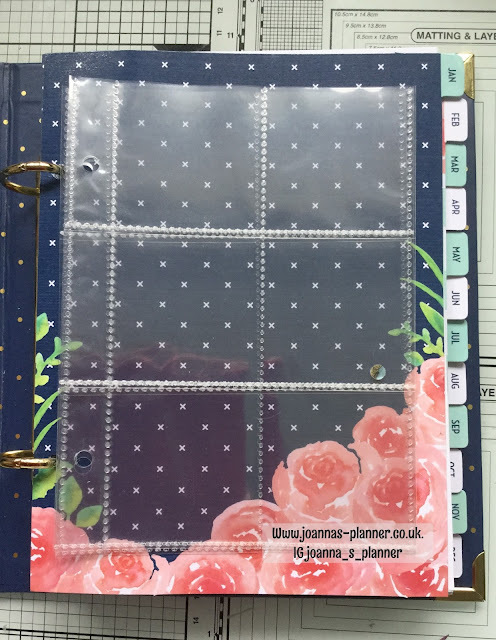 But don`t despair...you could save yourself a wodge of money (£9 in the UK) as the planner can be purchased either with the binder or as a refill pack without the binder..I know which one I would choose. 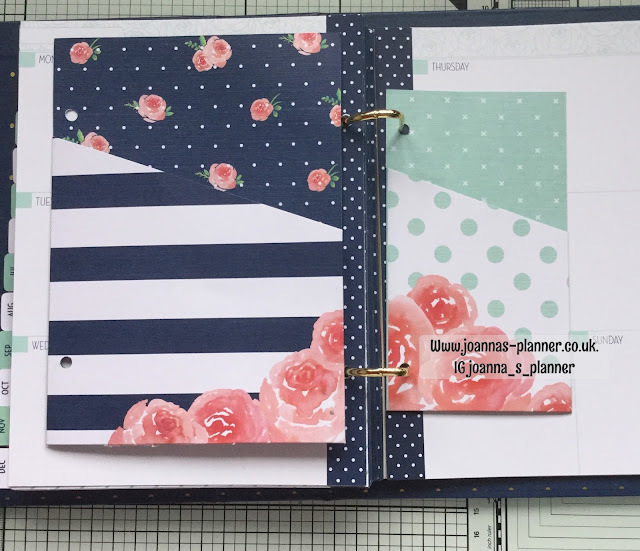 I hope you found this useful and if you should be interested in buying one of these planners for yourself I can certainly recommend my lady Judi, who is an `Independant Stampin` up Demontrator here in the UK. 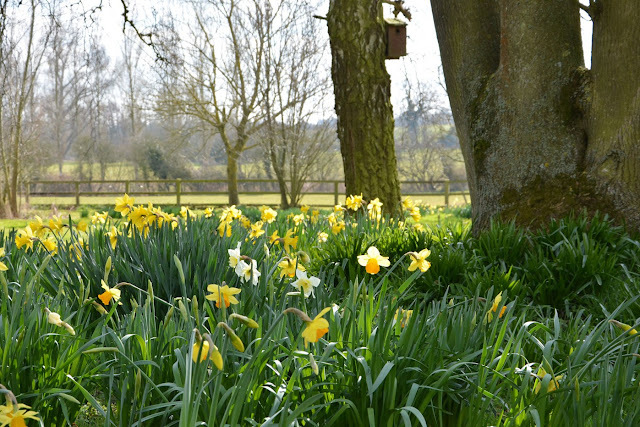 The link should take you direct to the planner page in the catalogue for a look see. However, it has only been working when it feels like it for me. 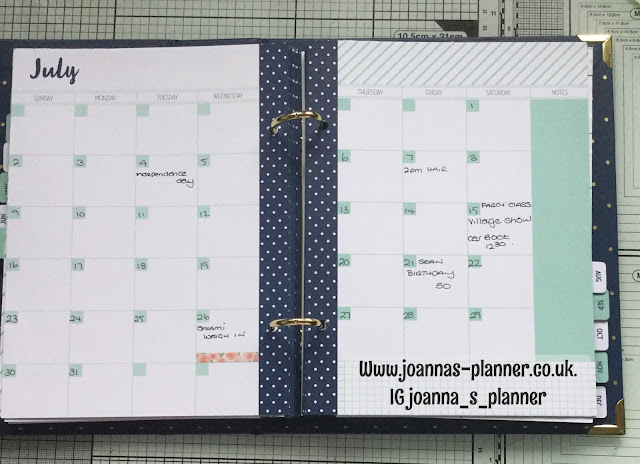 If you don`t see the planner pop it in the search box on the top left of the page. 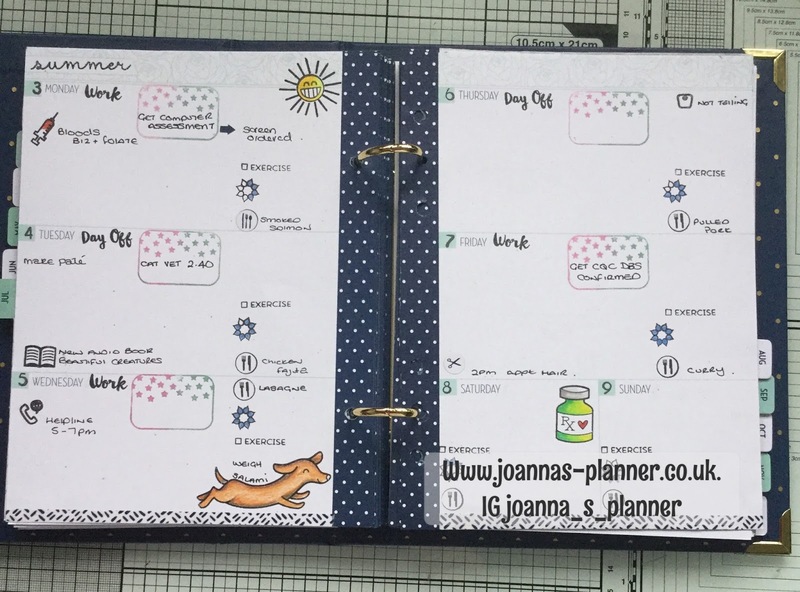 I know there is a new product release soon and look forward to more planner related items...I am sure as a company they would not miss that opportunity! You have actually done great with the planner , it will be great if is a bit smaller as you it will be easy carrying it . And you can also change the design to stips , they also look good . my sister have a planner so i can give this to her .